Congratulations to former CC students Nathan and Joel Tomkinson, who have recently completed their first CD! 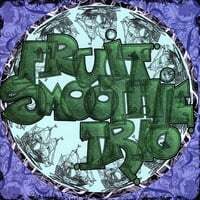 You can get a sampling of their music at www.cdbaby.com/cd/fruitsmoothie. The other musicians on the CD are Ryan Hsu (guitar) and Chris Henson (drums). Do you have news about CC programs or graduates you'd like to share? Email information and links or photos to 1smartmama(at)gmail.com. Let's remember to celebrate the accomplishments in our community!